Services - Harbers Flame Centre & Masonry Inc.
We install and service the products that we sell. Our technicians attend technical training sessions each year to keep up to date with the changes made to our product lines. With their training and experience you can rely on knowledgeable and quality installations and service. We offer annual chimney cleanings for wood burning systems. 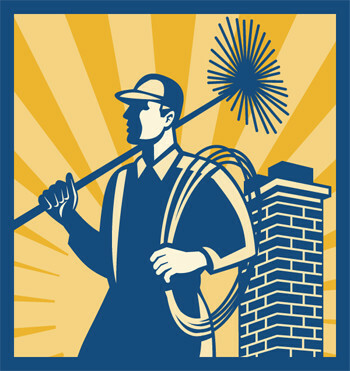 A chimney cleaning consists of sweeping the chimney, the interior stove pipe and cleaning the interior of the appliance. During this cleaning we inspect your complete system and report any deficiencies. We check all gaskets on your wood stove and replace if necessary as well as reseal the flashing if required. We also provide cleaning services for the pellet stoves we have installed. Pellet stove cleanings include sweeping the venting system and removing the panels of the stove in order to clean and inspect motors and all hidden passages in behind the firebox. Again, during the pellet service we report any deficiencies that may be found. Not sure if we installed the pellet system in your home? Give us a call, if it’s a brand we handle, we will be happy to schedule a service with you. It is recommended that your wood burning and/or pellet system be inspected and cleaned annually to maximize its efficiency and keep your appliance in good working order for many years of use. Once we install a wood or pellet system we send you a letter after the heating season to offer the annual cleaning of the appliance and chimney with a schedule of when we will be in your area for this service. All you will need to do at this point is call or email to confirm the appointment. Once we have cleaned your system you will receive a letter the following year for scheduling. If you are interested in having our company provide this service for you, please call our office with your information and we can include you in our annual cleaning schedule. We provide cleanings and service to gas and propane fireplaces and stoves that we have installed. If your glass is sooting up, the flame pattern is looking different, or the ignition is slow, it is time for service. Please give us a call and we will set up an appointment with you. A SITE Inspection is a visual inspection of your wood burning system by a WETT Certified person. Most inspections are requested by the home owner’s insurance provider or at the time of a house sale. When conducting an inspection we are checking the condition of the appliance and chimney system and verifying the installation meets all relevant codes. It is important to have the home owner present at the time of inspection so if there are any deficiencies they can be explained and repairs can be discussed. If you are experiencing down draft issues with your masonry chimney, or you see decay of your clay liner, then it is time to change to a stainless steel rigid liner before more issues occur. Call us today and we will arrange a site visit to evaluate your chimney. For all masonry needs, please see our Masonry information page. Is there a service you require that is not listed? Give us a call, we may be able to help.